More than 1,500 people have been treated for injuries from using battery-powered electric scooters in the United States since the craze began in late 2017, a Consumer Reports survey showed. The nonprofit consumer magazine said its tally, based on reports from hospitals and emergency officials, is incomplete and does not include four reported fatalities linked to e-scooters. Still, it counted 1,542 cases of emergency treatment for scooter-related injuries after contacting 110 hospitals and five agencies in 47 cities where the two biggest scooter companies operate. 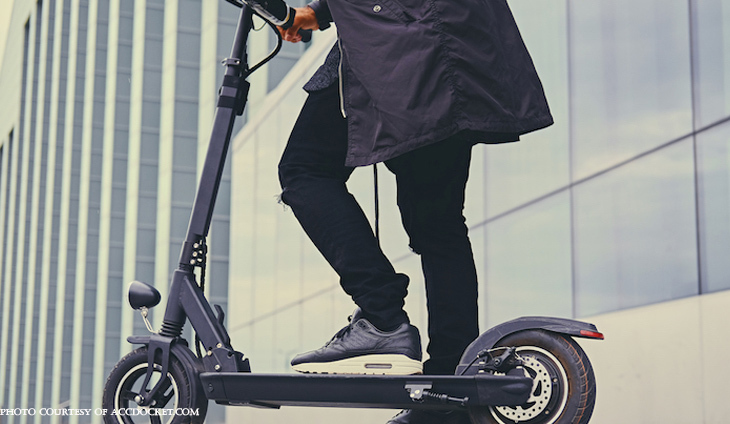 The scooter rideshare craze, which enables consumers to rent and drop the two-wheeled devices for short trips, has been hailed as a potential revolution for urban transport. But a number of media reports have highlighted the potential dangers of scooter use either on sidewalks on city streets and roads. This week a 21-year-old Irish exchange student died after being struck by a car on his scooter in Austin, Texas, according to media. Consumer Reports, which released its report Tuesday, said hospitals treated people for concussions, nasal fractures, forearm fractures, and other injuries, some requiring surgery. While major e-scooter firms encourage users to wear helmets, there are few regulations requiring them. The magazine said more than half of those contact in the survey had no detailed data for scooter injuries and that it was not possible to calculate the rate of incidents for distance traveled. It said many medical professionals suggested the total number of injuries is higher that the reported figure because hospitals don’t have the capability yet to accurately track specific scooter-related injuries. “Electric scooters are a promising new transportation option, but safety always must come first,” William Wallace, a senior policy analyst for Consumer Reports, was quoted as saying. Two US-based startups, Bird and Lime, have been growing rapidly, including internationally, and have reached valuations of more than $1 billion. Others in the segment include ridesharing group Lyft, Ford-back Spin and Skip. It may be complicated to assess the safety of scooters compared with bicycles, for example, without better data on how many people use scooters. Scooter firms maintain millions of people have used them since their introduction.